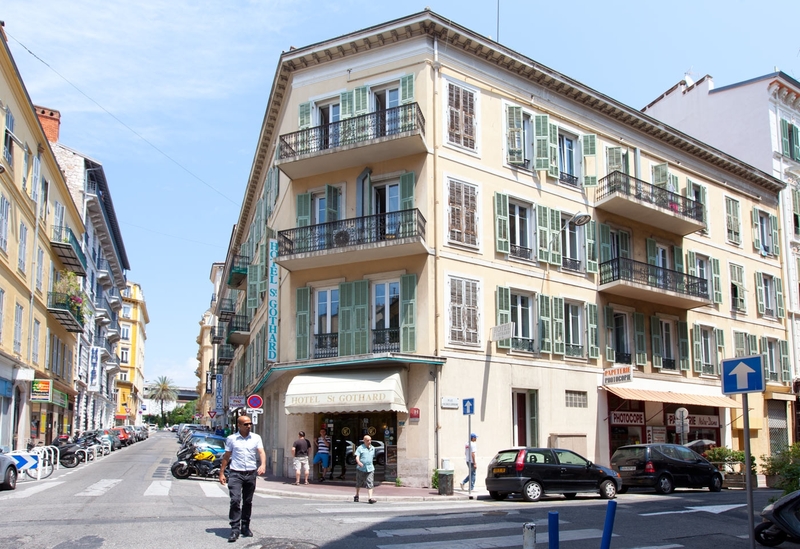 Hôtel Saint Gothard is located in the centre of Nice, a 5-minute walk from the train station, a 10-minute drive from Nice-Côte d’Azur Airport and just 800 yards from the famous English Promenade and the beaches. N°99: Get off at « Gare SNCF », the hotel is a 10-minute walk. N°98: Get off at « Cathédrale Vieille Ville », then take the tramway to « Jean Médecin ». Basilica Notre-Dame de Nice: 350 yds. Book your room now in the heart of Nice at the best price guaranteed on our Official Website!